With the help of our advanced manufacturing unit, we manufacture, supply & export a quality range of Special Purpose Machines. Our range is widely appreciated by our clients for attributes such as abrasion resistance, user friendliness and affordable pricing. 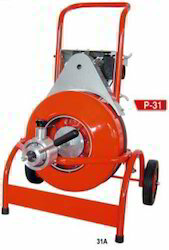 Pipe Notcher is used when you want to weld two pipe one pipe to bottom pipe, you need to cut top pipe. We are offering a wide range of Bending Radius Gauge. It is an instrumental consisting in one fixed part having 2mm scale & 2 spokes. One sliding part with two twentieth vernier scales. the vernier scale in the end part id for the concave radius while the median vernier scale is for the convex ones. together with the instrument we supply a table for the turning of values into mm. We are offering a wide range of Electric Hoist has hand some & exquisite appearance & has the features of easy installation, security & reliability. 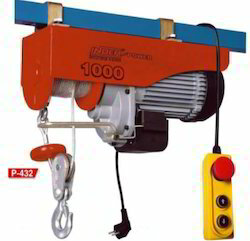 It is the important tool for hoisting in work ships, household garage & warehouse etc. 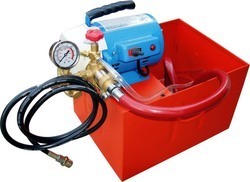 It is suitable for DIY market & is also the ideal equipment for hotels, shops, repairing, material handling, industrial assembly lines and large industrial equipments etc. It adopts single-phase power & widely used. 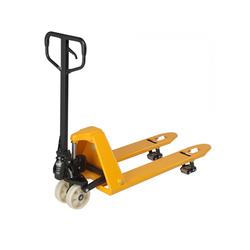 We are engaged in offering our clients a superior quality range of Hydraulic Hand Pallet Truck. We are offering a wide range of Online Under Pressure Drilling is used to Drill and Tap in running water line while under pressure. 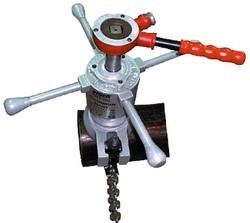 It make the hole and tap up to 2' in Single operation without electricity. Machine is recommended for connection ferrules to drinking water mains for connection to the consumer without stopping water line. It is unique design and involves engineering challenges so that it is capable of Dining and Tapping on Cast iron, Ductile Iron Steel and Asbestos cement pipes of various diameters and inserting ferrules directly in to the wall oil water man or through a saddles strap where these may fitted to Support the ferrule. Capacity (Bars) 60 Kg3/Mpa, 2.9 Ltrs./min. Power Pipe Cleaner is design for both Indoor and Outdoor application in lavatories bathrooms and kitchens etc. Its entirely sealed structure, soft flexible shafts made of high quality steel wire coiled around the steel wire rope tightly. Inner-core cable can meet the requirement of every heavy duty job to just put in barrel, to ensure cleaner and more convenient use. 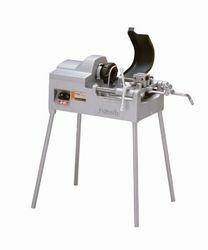 Rotate Speed 260rpm, feeding speed 0-6m/min. 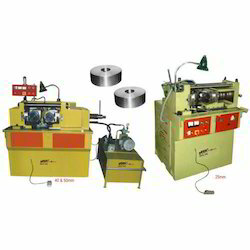 Bolt Threading Machines manufactured by us are best in quality and durability. The range is widely acknowledged and acclaimed in domestic and international market for characteristics such as dimensional accuracy, resistance to corrosion, excellent functionality and sturdy construction. Sound infrastructural facilities have enabled us to manufacture the high quality oriented range. We are offering a wide range of Aluminium Alloy Under Pressure Drilling. 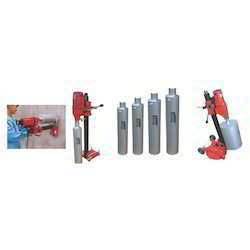 It is a light weight easy to transport to Drill and Tap In Water line while under pressure. 1t makes the hole and tap uptp 2" in Singe operation without electricity. It covers the range size 4' to 48' of Cast Iron and M.S, Pipes. Its superior quality seals stop the water pressure while drilling and packed in Metal Box. From the years of commencement, we are engaged in offering a huge assortment of quality approved Handy Cleaner. This Handy Cleaner is known for its excellent quality and is developed using advanced technology. This product range is offered in best finishing to our clients. It is perfect in deigning and well tested on different quality parameters. Our products ranges are in huge demand among our clients. To add on, we are offering this product at cost effective price. We use highly advance techniques for the processing of our product range. We offer a wide range of Diamond Core Drills. They are equipped with outer regulating safety clutch, double insulation, current overload protection switch, when the drill is blocked or the twisting force is too strong, it can break off the clutch or the switch automatically and protect the drilling machine. Size 255 mm is fitted with an adjustable bracket on its original engineering drilling machine, it can drill a bore vertically, and also can drill an inclined bore at the angle of 0-90 degree. Its fixed method can adopt vacuum pump to bleed the air, make the suction cup firmly stick to the plain of the building, then fixing the rectangle base and the drilling machine on the bolts of suction cup, then the drilling can be processed. Thus, you can not drill the expansion bolt hole and avoid damaging the building. Voltage 220 V / 50 Hz. 220 V / 50 Hz. 220 V / 50 Hz. 220 V / 50 Hz. 220 V / 50 Hz.